Most of us like to think of ourselves as responsible travellers. We don’t litter, we tip if the service is good, we treat locals well — we try to get it right. If you’re asking, ‘How can I help or at least, not hurt, the places I visit?’ here are six tips for sustainable holidays in the Vietnam. Looking for quiet areas and soothing views? Environmental impact is always higher where there are more people. Journey a little farther, and you’ll have some amazing destinations and attractions all to yourself. Finding lesser-known alternatives is a smart way to diversify your adventure and give heavily impacted sites a ‘rest’. Hotels have a big say in how destinations develop. Do a little research to find accommodation that follows green practices, employs locals and gives back to the community. You’ll be glad you did! 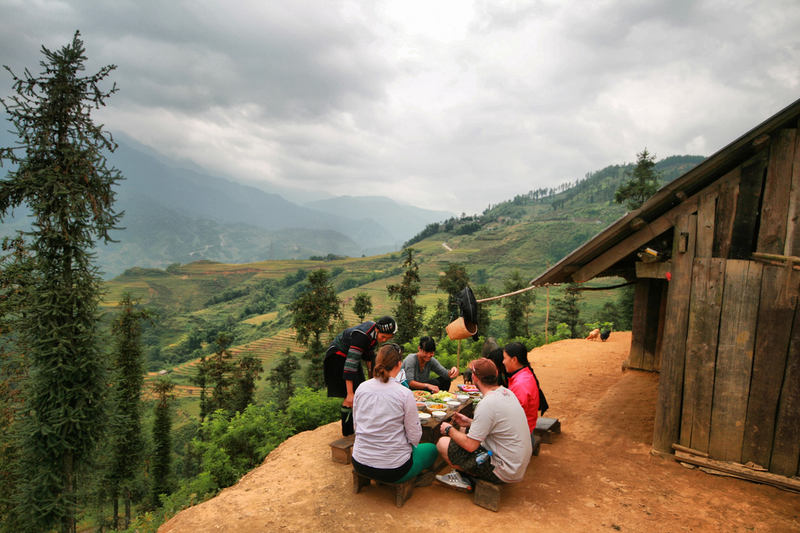 In Vietnam, your options range from locally owned homestays to eco-friendly resorts and hotels. Where do you want your money to go? We think hosting communities – not foreign brands or businesses — are the ones that should benefit most from tourism. Buying sustainable souvenirs, eating at local restaurants, sleeping in locally-owned homestays, and touring with local agencies contributes to the economic well-being of your destination. “What we pay for thrives, and what we refuse to pay for dies.” Your choices can motivate the protection of cultural and historical assets. One of our tips for sustainable holidays is to seek out experiences and look for quality textiles that preserve your destination’s past. 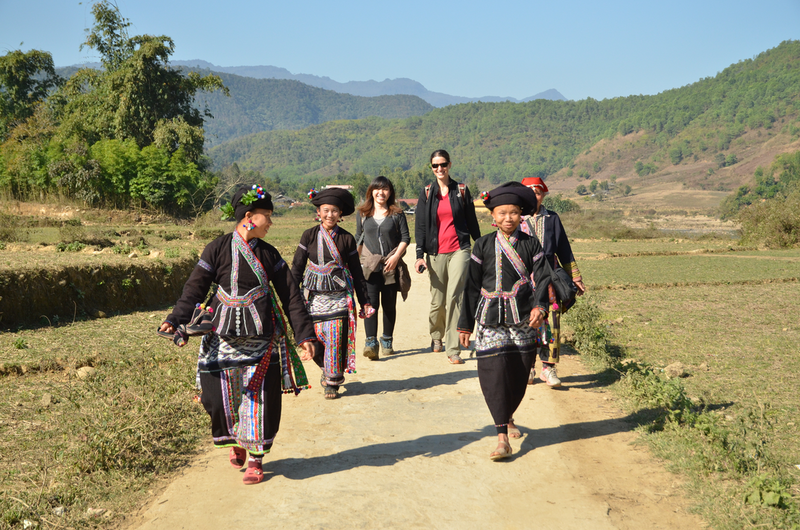 Visiting ethnic minority villages, going on educational tours, and buying from local craftspeople all encourage the survival of Vietnamese traditions. Did you know that many areas of rural Vietnam don’t have services such as refuse collection? You can be respectful of this situation by minimising the waste you produce and by bringing none biodegradable materials back into towns and cities for recycling or proper disposal. Turn off lights and air-conditioning when leaving your room, and re-use sheets and towels if they’re not dirty. Moderation shows you understand and sympathise with local issues. Treat plastic as if it’s your nemesis. Plastic bottles can take around 1000 years to decompose. That means your great-great-grandchildren will be gone but your plastic bottle will still be around. Could you bring your own water bottle, or buy one and refill it for the rest of your trip? What about saying ‘no thanks’ to plastic straws, bags and packaging? ​Issues like environment and economic inequality can seem huge and intangible, but there are many solutions. Follow these tips for sustainable holidays and have a lovely, low-impact trip to Vietnam!